Bihar is no stranger to the centre-stage of Indian polity. From the halcyon days of the Independence struggle to the seething era of the JP movement to ultimately the Mandal times, Bihar remained a harbinger of political fortunes for leaders of India. The landslide 2014 victory (31 out of 40 seats) for the Narendra Modi-led NDA cemented the reputation of Bihar as a kingmaker state of India. However that was 2014. In politics, 24 hours can change everything. 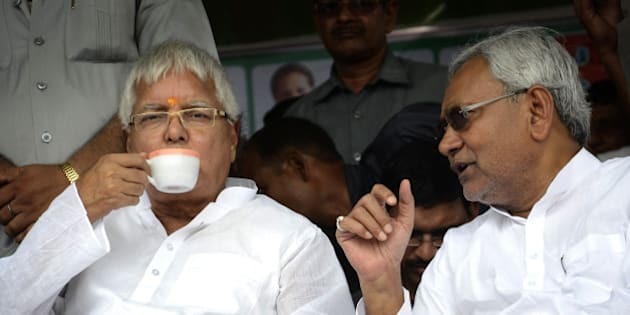 In 2015 we observe a new political formation comprising erstwhile foes and JP protégés Lalu Prasad Yadav and Nitish Kumar. The Indian National Congress, Janata Dal (U) and Rashtriya Janata Dal (RJD) are hoping to repeat a Delhi Vidhan Sabha 2015 like concentration of opposition votes under one camp to defeat the NDA. While it is premature to predict the direction in which the political winds will blow, it is worthwhile to delineate the ‘X’ factors that will go into the making of Bihar Verdict 2015. Muslims constitute 16.5% of the population of Bihar as per Census 2011 figures. In the last two decades Muslims gravitated towards the Lalu Prasad Yadav-led RJD to form the formidable Muslim-Yadav (M-Y) alliance. However this alliance was outgunned by the OBC-MBC-Forward Caste alliance engineered by the BJP and JD(U) for two successive elections. In this round of polls they are expected to trend towards the INC-JD(U)-RJD alliance but such a unidirectional polarisation of Muslim votes has the potential to trigger a reverse polarisation of Hindu votes. In the past, a united Hindu vote was thought to be a mythical beast, but the 2014 Lok Sabha verdict proved that such a thing does indeed exist. Keep a keen eye especially on those 40 seats which have been “gifted” to the Congress by Lalu-Nitish. These seats are likely to see sharper polarisation on these lines. Yadavs constitute 13% of the population base of Bihar and until the last decade dominated the state electoral scene, courtesy the formidable M-Y coalition engineered by Lalu Prasad Yadav. In 2015, however, old equations have changed. Lalu Prasad Yadav having been convicted of corruption cannot stake claim to the post of CM. Therefore, by default, Yadavs will not be dominating the dispensation under him. Second, in terms of social faultlines, the vote base of Nitish Kumar has vied with Yadavs for influence within the state. A lot will depend on the degree of reconciliation that takes place between the two leaders’ vote banks. Add to this that for the first time in 25 years a sizable portion of Yadav votes did vote for Narendra Modi in the 2014 Lok Sabha elections. But that was for Lok Sabha and that was for Narendra Modi. The same support may not necessarily come for Sushil Modi, Bihar BJP chief. However it would be interesting to watch Yadav votes in seats where the JDU is contesting against the BJP. Nitish could get a rude shock in those seats as far as Yadav votes are concerned. The RJD-JD(U)-INC alliance appears to be in the lead if one were to hark back to the Vidhan Sabha 2010 results. They polled 18.8%, 22.6% and 8.3% of the vote share respectively, and a back of the envelope calculation suggests that this combine can easily outstrip the BJP’s 16.4% plus LJP’s 6.7% vote share. Deferring to numbers of more recent vintage, in the 2014 Lok Sabha elections the NDA won a combined vote share of 38.8% and the theoretical RJD-JD(U)-INC combo won 44.3%. Such calculations are, however, based on a shaky premise. Primarily, the RJD-INC contested together on all seats of Bihar, with JD(U) doing the same in parallel. When parties contest on all seats of a state, their vote shares tend to suffer inflation on account of a larger base effect. Therefore, the vote shares that hold independently do not stand when contesting in alliance. Much will depend upon the JD(U)-RJD-INC combine’s ability to translate their theoretical prowess into real political muscle. In short: This alliance has arithmetic scores well in place but it will come out on top if it aces “chemistry” as well. Politics is the epicentre of society in Bihar. Thus, aspirants to political offices in Bihar tend to be more numerous than in other states. It is always a task for political parties in the state to manage various claimants to party tickets as they tend to be crucial in winning a multi-cornered low margin election. The BJP and JD(U) used to contest elections in a 102-141 seat split. The JD(U) will have to now adjust Lalu’s RJD aspirants as a part of “coalition compulsion”, giving up 41 seats where they have been contesting for almost two decades. For Lalu this number is actually much bigger: 143 seats that are left out for JDU and Congress. Given the fact that RJD and JD(U) would contest against each other, they will find it tough to let go of seats that will fall in their common political catchment. On the other hand, the BJP’s allies have a limited social catchment area, thus making its job at ticket distribution slightly easier. So in short, you can expect a large number of “rebels” from the RJD camp contesting seats where the JD(U) might be on the back foot. This is something which will be condemned officially, but the insiders will tell you precisely which rebel has the “blessings” of the leadership and which doesn’t. Keep an eye on the list of “official” rebels. The Jitan Ram Manjhi experiment backfired for Nitish Kumar, but it has also not translated into major gains for his opponents. Many within the NDA camp seek to brandish ex-CM Jitan Manjhi as a symbol of the neglect of Dalits within Bihar by Nitish Kumar and Lalu Yadav alike. However, Dalit identity-based politics in Bihar are not as crystallized as in the neighbouring state of Uttar Pradesh. In Uttar Pradesh the Dalit votes proved to be decisive for the BSP at the micro level for almost 25 years now, but they did vote for the BJP in the Lok Sabha elections, symbolising the “split-support” at the macro level. However, in Bihar there is little inkling of something similar being afoot. The simple reason being that the Dalit identity in Bihar has been under the broad “Gareeb-Pichhada” identity coined by the LPY. The fact that upper caste voters, especially Rajputs/Thakurs, always backed the BJP made it more difficult for Dalits to look towards the saffron camp. The bloody wars fought between the private armies of the Ranvir Sena and various Dalit groups remain in public consciousness. The divide has stayed deep over the centuries. Just because Manjhi was supported by the BJP doesn’t mean those faultlines would be buried just like that. This “kinara” remains in the “nadia ki dhara“. Leadership is a primary concern for any electorate voting to elect their government. While Nitish Kumar is clearly a leader of stature within the UPA camp, the NDA lacks such a figure. The projection of collective leadership worked for the BJP in Maharashtra, Jharkhand and Haryana because of massive anti-incumbency and unpopularity of chief ministers in these states. When it came to Arvind Kejriwal in Delhi, though, the BJP was caught between devil and the deep sea. This could be the deciding factor in Bihar elections. The animosity between the Modi and Kejriwal camps in Delhi is extreme. But both camps know that almost 50% of their own support base includes the voters who appreciate the split-leadership. Almost half of Delhi voted for Modi in Lok Sabha and Kejriwal in Vidhan Sabha and felt equally happy about it. Even today if Lok Sabha and Vidhan Sbaha elections are held at the same time in Delhi, chances are BJP will win 7-0 in Lok Sabha and Kejriwal will sweep 67-3 in Vidhan Sabha on the same day. The same is true about Bihar. There is a “silent” majority which celebrates both Narendra Modi and Nitish Kumar for their leadership and performance. This election is going to coincide with the Chatth festival in Bihar. This is the time when a massive number of Bihari emigrants congregate back home from all over India. Such a massive presence of émigrés who are currently living and thriving in northern, western and southern states of India can be a game-changer. This is one factor that stands un-calibrated and under studied. The diaspora has votes on different lines in different elections. In Delhi they did vote for AAP in recent elections — no wonder then that Nitish Kumar has been so keen on winning over Arvind Kejriwal. You can expect Congress stalwarts from the Mumbai campaign in Bihar for the same reason. However, given the way the NCP has been short-changed in ticket distribution, its impact on migrant voters coming all the way from the Mumbai region would be interesting. The Punjab story is similar — though going by the local trend in Punjab the Bihari migrant are likely to go against the NDA. The same is true about the crowd coming from the east which might gravitate towards Nitish just by virtue of his chemistry with Mamata Di. All in all, Bihari migrant do not bode well for the BJP for various reasons. This also hints at why Nitish Kumar is going out of his way to accommodate Opposition stalwarts from Mumbai, Delhi and Kolkata. It’s a long shot for sure, but one that could hit the mark. Bihar has a tradition of social faultlines that run decades, even centuries, deep. Within the forward caste block of votes, the traditional catchment of BJP, Bhumihars and Rajputs tend to be at loggerheads. In the Lok Sabha 2014 election Narendra Modi was able to unify the two factions under his banner of leadership. The same cannot be said with confidence about Vidhan Sabha 2015. Therein lies the challenge for the NDA — to be able to convincingly marshal its traditional vote shares as of now it appears tricky. In the Lok Sabha election the forward caste voters did not consider the candidates fielded by the BJP and its allies. Their focus was Narendra Modi. Even that equation is tenuous. At the micro-level, Rajputs are likely to go over to the other side wherever the BJP fields Bhumihar candidates, and vice-versa. It will be only in the rest of the seats where these two vote banks could still vote for the BJP together, especially in urban areas. You can expect a much bigger margin of victory for BJP candidates in such seats. X-Factor 9: The female vote bank? Nitish Kumar proved to be one of the most progressive Chief Ministers of Bihar when he undertook schemes for female literacy, security and distributed bicycles for girls engaged in education. Such measures endeared him to female voters, especially younger ones. It was in last Assembly Election where we reported the arrival of the “female” vote bank cutting across the caste lines; especially in semi-urban areas. This trend was consolidated in 2014 when the female voters – even in rural areas — of Bihar gravitated towards Modi, once again cutting across caste lines. This was something unseen so far in state politics, where the caste-cult was defining the trends and overriding education and socio-economic divisions. Gender as a SEC was not a factor before — not even when Rabri Devi became the CM of Bihar. Cut to 2015, it remains to be seen whether the differential popularity enjoyed by Nitish Kumar still holds or was a time-limited phenomenon. So keep an eye on this less talked about but highly influential vote bank. Pollsters across India have observed a split voting phenomenon in recent times, whereby the same panel of voters indulges in different but consistent voting choices across elections for different tiers of governance. For example, the popularity enjoyed by the BJP in the Lok Sabha poll compared to a Vidhan Sabha poll is on an average 10% higher. The BJP scored more during Lok Sabha polls on account of the higher reputation of its central leadership, but lost about 10% votes on an average across the states of Maharashtra, Haryana, Jharkhand, Jammy Kashmir and Delhi. The BJP’s victories in four states were largely driven by anti-incumbency and the huge margins of LS 2014; which even after the 10% downswing carried the day for the party. In the case of Bihar, the BJP numbers were only around 38% even in peak Lok Sabha performance. Any downswing could be catastrophic. Conversely, regional outfits tend to score more when it comes to Vidhan Sabha polls on account of stronger local leaderships. It remains to be seen how powerfully this trend will manifest itself in the upcoming polls. The saving grace for the BJP could the confused anti-incumbency factor – Nitish is blamed for some failures of the state government and there remains a lingering antipathy towards Lalu outside the MY combination. Keep an eye on vote-share projections of pre-poll Surveys to understand this. As you can see the majority of X-Factors are actually working against the BJP. But there is one factor which has been handed over as an unexplained gift to the BJP by the Nitish-Lalu combine: the decision to leave 40 seats to the Congress. In a face-off between a Congress and BJP candidate, the probability of the BJP winning the seat stands very high in Bihar. Thus the arithmetic will be like this: the more the number of seats contested by the INC as a part of the coalition, the more will be the seats where the BJP will begin with an ab-initio advantage. If Lalu and Nitish would have settled for 115 seats for each, leaving 10 odd seats for Congress, they would have had a better chance to score. Right now it looks like the score card is reading 40-0 even before beginning of the match. In the end, of course, the decision lies in the hands of the Bihar voter. In my personal observation, he/she is the most politically conscious and mandate-sensitive citizen across India. Nobody can match the political acumen of an average voter on the street in Bihar. They are all set to decide and all of India is watching.